The parks bureau is proposing closing the Sellwood Community Center in September to help make up for the huge shortfall. PORTLAND, Ore. — Portland Parks and Recreation is facing a $6.3 million shortfall. To make up for that, the recreation services division is taking the biggest hit. That means two beloved community assets could be on the chopping block. The Sellwood Community Center has been there before, mainly because of deferred maintenance issues. This time around, the parks bureau is proposing closing the Southeast Portland facility in September to help make up for the huge shortfall. The mayor and city council will ultimately decide on the budget, adopting it in June. “It’s a really well-used building. It's really what makes Sellwood-Moreland Sellwood-Moreland,” said Sellwood native and neighborhood association vice president Gail Hoffnagle. To her, the center is a staple of the neighborhood. Neighbors with young children agree. Borman brings her toddler Rosemary to the center four times a week. "We utilize this center as a social outlet. We were thinking she'd go to preschool here. We participate in dance classes, gym classes, there’s parents time off here that’s two hours a week - which is necessary if you’re a stay-at-home parent,” Borman said. But to help make up for Portland Parks & Recreation's $6.3 million deficit, the community center may shutter later this year. The bureau is proposing reducing staff, and reducing or eliminating a number of programs. They say they want to make cuts through a lens of equity, prioritizing services for vulnerable and historically underserved populations. "It’s already hard enough to get your kids into any kind of care. I don’t know what it’s going to do to flood the preschool market with all these children that are going to be out of care,” Borman added. The Columbia pool in Portland. A similar story is unfolding across town in North Portland at the Columbia Pool. Wheeler-Weber says the community is concerned after finding out Columbia Pool may go in 2020 if the proposed budget passes. She says they’re "flabbergasted, surprised and confused" why this specific resource would be shuttered when it’s highly utilized and essential to the community there. “Why put on the chopping block something that has been serving underserved communities for a long time, that people of all abilities, all income levels, all ages can access easily to promote better health outcomes?” Wheeler-Weber said. 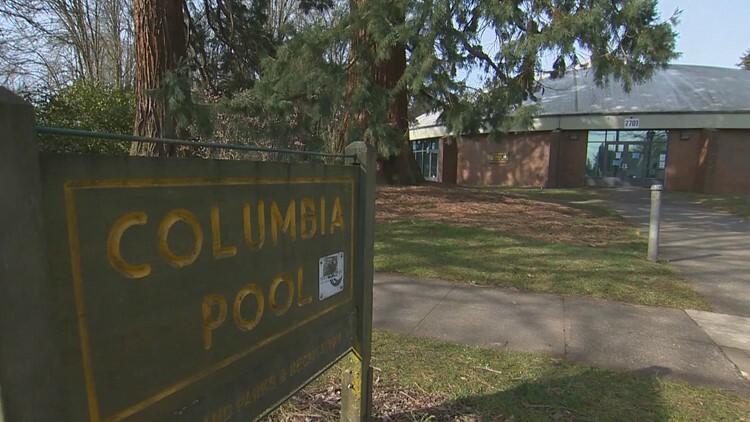 Under the budget proposal, Columbia Pool would close in July 2020, with the bureau injecting one-time funding for a year so they can find an alternative. The parks bureau says there's a structural deficit, which they used to handle with one-time fixes. But now, the gap is too wide. The bureau says costs are outpacing revenue, as fees have stayed relatively flat to keep programs and facilities accessible and affordable. Portland Parks and Recreation’s business model is for every dollar in cost, 73 cents comes from the city’s general fund, while 27 cents must be earned in programs, permits and other fees. In recreation services, 50 cents needs to be earned to fund it. They say the recreation services division, which relies most heavily on fees, will be most impacted under the proposal. If they don’t address the problem this year, it will only continue to grow, the bureau says. In the presentation, the bureau lays out priorities such as equitable geographic access, reductions that will reduce deferred maintenance needs (such as Sellwood Community Center), and reductions where there are alternative service providers. You can read the agency's Frequently Asked Questions to learn more details. But neighbors say cutting these beloved resources shouldn't be the answer. “We’re already underserved in a lot of ways. This will impact our health and wellness,” Wheeler-Weber said. "It really seems short-sighted in the long run,” Hoffnagle added. In the bureau’s land stewardship program, they are proposing to reduce approximately two positions and maintenance capacity. City Council will hear the bureau's proposals on March 19. The public can weigh in starting in early April. Find out more on the City Budget Office website.